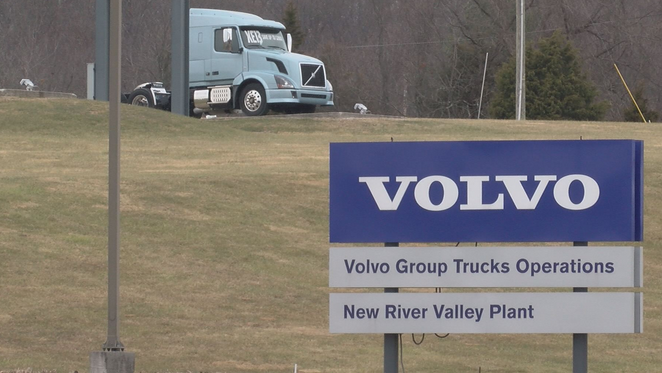 Volvo Trucks North America will lay off 400 more workers this month in response to a stubbornly sluggish heavy truck market, a company official said Friday. 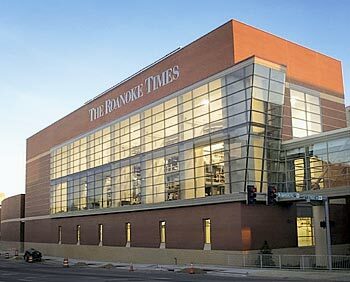 The layoffs will take place Feb. 26. 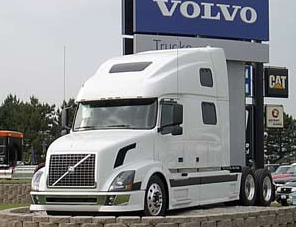 Both salaried and hourly workers will be affected, Volvo spokesman Keith Brandis said. The company has already laid off nearly 1,100 workers during the last year. Bill Burton, president of United Auto Workers Local 2069, said the union was notified of the layoffs late Thursday, but the number of cuts wasn’t announced. The New River Foundry’s parent company missed Friday’s deadline to respond to a proposed settlement of an $801,000 fine levied by the state after a Radford plant explosion killed three workers in March. The Department of Labor and Industry will ask Michigan-based Intermet Corp. for an answer, spokeswoman Nancy Jakubec said Monday. Debbie Sheppard, Karen Anderson Hamilton and Curtis Grooms died in the March 5 explosion that investigators said originated in the plant’s basement. In September, Intermet was fined $801,000 for 31 safety violations investigators uncovered following the explosion at the New River Castings plant, now called the New River Foundry. The fine was the largest levied in the history of the Labor Department’s Occupational Safety and Health Compliance division. Intermet contested the fine and last met with the state on Sept. 21, Kelly said. The settlement agreement was offered by the state on Nov. 15, but the two sides haven’t met to discuss it. Two hours before the Rutgers University game, Virginia Tech equipment manager Lester Karlin hears it’s cool outside. He knows what’s coming. He begrudgingly pulls out a bundle of long-sleeve T-shirts. Karlin is certain some players, particularly the defensive backs, will want the shirts under their game jerseys instead of the customary sleeveless variety. Ten minutes later, a player stands at the equipment room window and requests a long-sleeve shirt. The player rolls his eyes as he trudges back across the hall to the locker room to retrieve his T-shirt. Players get one of everything, Karlin explains. If they want a replacement, they have to return the old one. “Otherwise, they take the shirt home,” he says disapprovingly. They can’t do that. The uniforms may have players names and numbers on them, but make no mistake – they’re Karlin’s. A union leader at the Volvo Trucks North America plant in Dublin said Saturday that the company is planning another round of layoffs, but Volvo said it has no such plans. 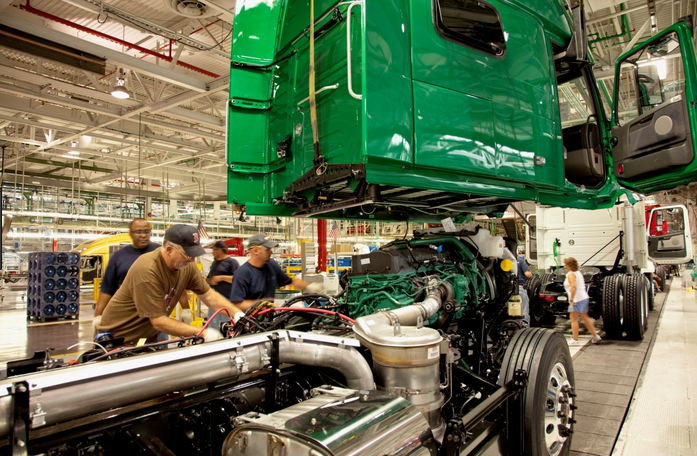 Volvo Trucks, based in Greensboro, N.C., is the New River Valley’s second-largest employer with 2,300 workers. Lee Thomas, bargaining chairman at United Auto Workers Local 2069, said the company notified the union Thursday that an unspecified number of workers would be laid off because of a decrease in truck orders. Romba said he had no idea how the rumor got started. State labor officials investigated safety violations at the Radford Foundry twice within weeks after three workers died in an explosion at the foundry’s sister plant. The state fined the foundry a total $ 4,000 on the two citations issued by the Virginia Department of Labor and Industry’s Occupational Safety and Health Compliance division. The first citation stemmed from an unspecified violation March 23 involving cranes in the plant. A March 28 drill press accident in which a worker lost a finger prompted the second investigation, according to documents released this week by the state. They both came after the March 5 gas explosion at the adjacent New River Castings plant killed three workers, injured several others and put hundreds out of work. Both plants are owned by Michigan-based Intermet Corp. The state initially fined the Radford Foundry $1,875 for the crane citation, but reached a settlement of $ 937.50 with the company. A day of waiting ended without answers Monday as searchers were unable to find two women missing after Sunday’s deadly explosion at the New River Castings plant. Officials also continued to search for the cause of the blast, with union officials charging that Intermet Corp., the Troy, Mich.-based owner of the automobile parts maker, ignored complaints about gas leaks. Search dogs indicated that Debbie Sheppard, 37, of Riner, and Karen Anderson Hamilton, 35, of Plum Creek probably were buried beneath rubble that officials said would take days to clear. Radford Fire Chief Lee Simpkins said the workers apparently are under a “four-story building collapsed into two stories,” but said he still hoped they were alive. Commercial Steel Erection, a Madison Heights company, is being called in to help remove tons of debris during an around-the-clock recovery effort, Simpkins said.